If you are someone who has tried to spruce up your home, you know that most home interior related projects are not very easy on the pocket. 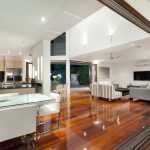 You have to be very creative to come up with options that will give your home a makeover every once in a while, without having to break the bank. We’re here to give you some clever tips for doing exactly that! Going green is the easiest and most inexpensive way to refresh and rejuvenate your living space! A tall palm near a window where there is enough sunlight lends an added dimension to your room. You can have an indoor creeper growing on a trellis as part of your wall décor, or hang some pots in pretty containers in your kitchen and bathrooms. 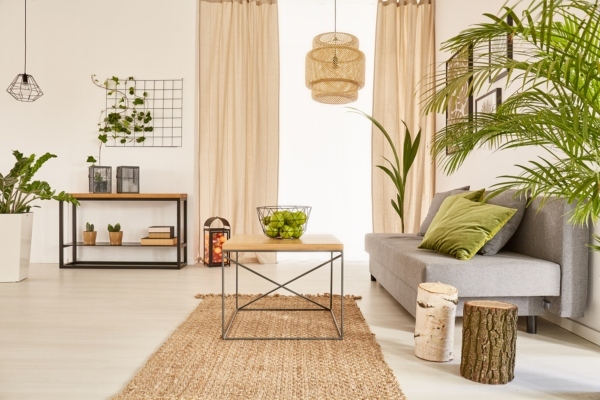 Tie in the shades of green by adding bright cushions on the sofa or verdant green accessories around your room, and you have a beautifully coordinated look. Looking at the same colours day in and day out can get boring. A quick refresh to your wall paint—maybe by adding an accent colour on even just a section of one wall—will instantly brighten up your room. 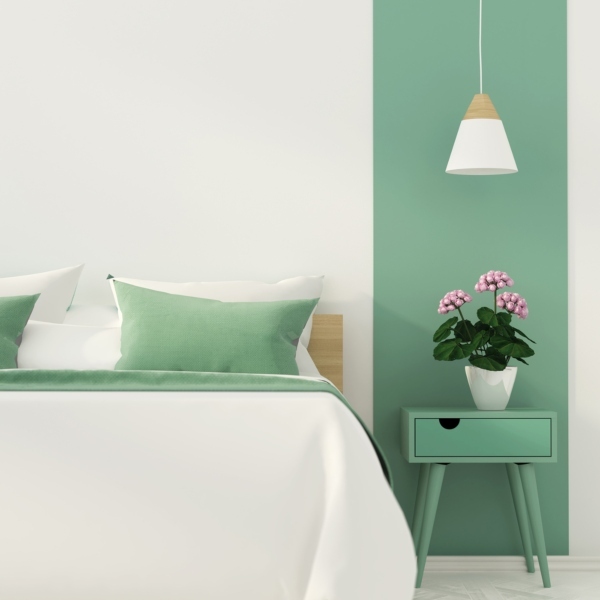 Remember that small rooms will appear closed-in if the colours you use are too overpowering, so if you have a tiny bedroom stay away from hues that are too vivid! Walls and floors in lighter tones will open up your space and make it look brighter. Tired of seeing the same old curtains? Spruce up your windows in style; curtains that go all the wall from floor to ceiling will give the illusion of space and uplift your interior instantly. Match the drapes with the sofa cushions, and you have a completely new colour palette in your living room! 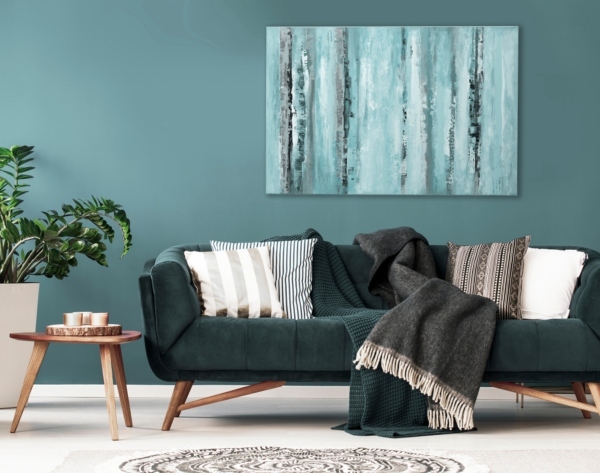 Art has the power to transform the ambience of your room dramatically. A large wall mural behind your sofa can be a focal point for the interior of the room. It can set the mood, add texture and interest and become a talking point. You do not have to buy original pieces by well-known artists which can be uncomfortably expensive. Try your own hand at putting some colours together; or shop around for high resolution prints on canvas. 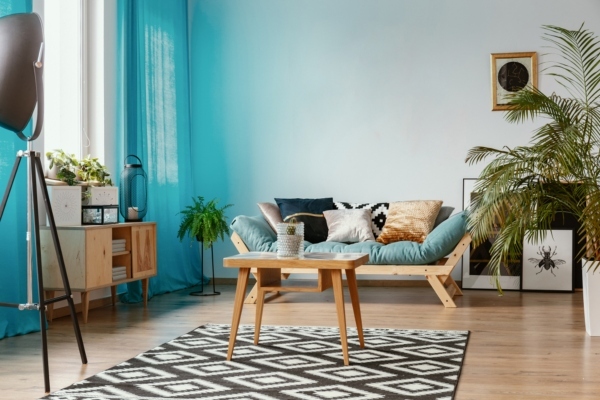 Adding a pretty area rug or carpet is an instant personality upgrade to the interior design of your room, and one that’s very pleasing on the eye! Rugs add warmth, texture and colour and can be stored easily; so you can bring out warm ones during winter and lightweight ones in the summer months. Think of a rug as an investment that will last many years, so look for good quality that is durable and will wear well. Are your chairs looking shabby, worn and chipped? A coat of white lacquer paint will give them a new lease of life! The same goes for side tables, storage units and beds. Metal surfaces can be refinished with smooth and durable PU paint. Look in the attic for some innovative ideas! 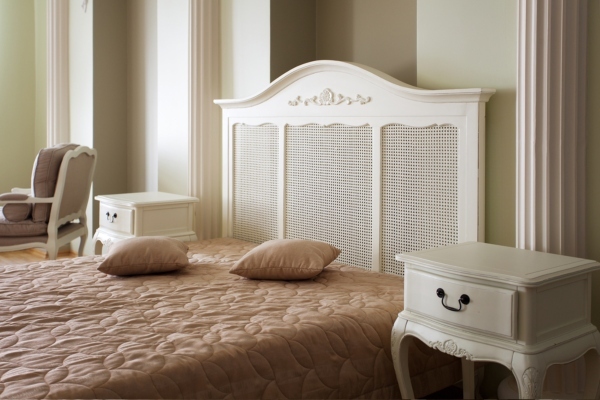 Your attic may have some old and forgotten items that can be refurbished and displayed well. Old brass vessels can be used as containers for potted plants. The single porcelain plate from a lovely set that survived breakages can be put up on a wall. Children’s artwork can be framed and hung in their bedrooms as memories of days gone by. 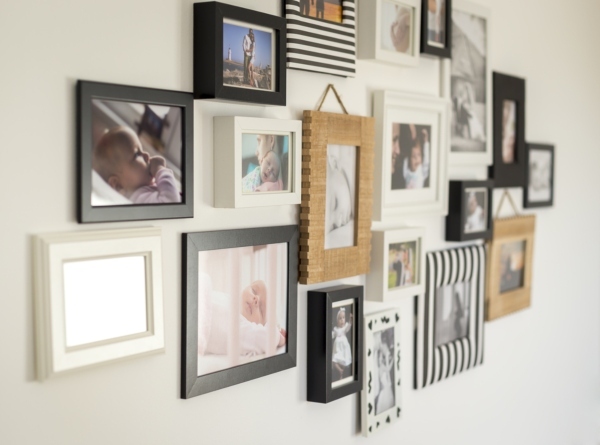 Family pictures, lovingly collected over the years, can be framed in interesting ways and put together to form a portrait wall. You can intersperse old black and white pictures of your loved ones with coloured landscapes of places that you may have visited on a family holiday. Use your imagination to make it as creative and unique as possible! Regardless of whether you are doing up your new home or looking for ways to update your interior, we hope these tips have got your creative juices flowing! A few clever design ideas can be easily incorporated into your interior with minimal fuss to create a huge impact on the look and feel of your home. Get the right inspiration, and get started! 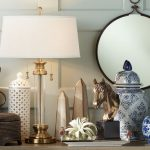 Awesome Blog For Home Decor. Loved It. Thank you for those advices great blog. Can a home be designed with local materials availabe so it can be budget friendly ?